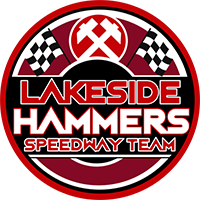 The Lakeside Hammers will complete their push for this season’s Championship silverware at the Rye House stadium, after one last farewell to their Essex home on Friday 14th September. 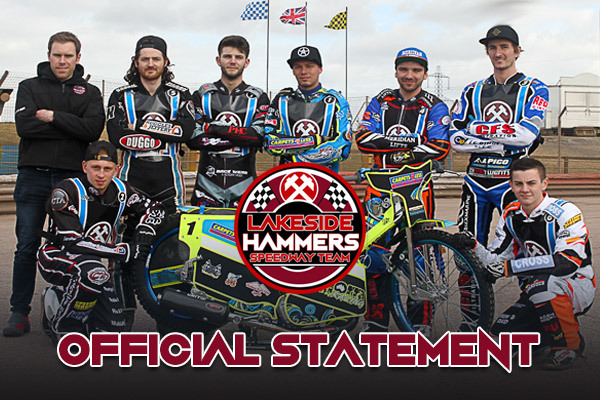 “We have acted swiftly to ensure that the Hammers can continue racing not only this season, but for the foreseeable future” said club owner, Stuart Douglas. “Our ongoing discussions with Thurrock council and other sporting partners for a sports hub the town both deserves and needs will continue apace, whilst we can now enjoy a stadium designed for Speedway, with the race night availability needed to both race and compete” he added. The final speedway meeting on Friday 14th September will be a night to commemorate all those memories, and to invigorate ourselves for a brave and bright new future. Hammers Co-Promoter Jon Cook continued “It’s going to be a fantastic weekend not only for the Hammers’ fans that can take in both meetings, but also for the Rye House fans after the early end of their season. We have an opportunity to be racing to the end of October and the boys know they are in a team that’s capable of winning trophies. We would like to thank Warren (Scott) & Steve (Jenson) at Rye for making this possible and look forward to creating a team over time within an ever improving facility that provides the opportunity to take on and beat the rest and best of British Speedway”. BMR’s Steve Jenson said, “Both BMR owner Warren Scott, and myself, are absolutely delighted to see league Speedway return so quickly to Rye House, and we welcome the Hammers and their supporters to our stadium. We hope that the return of Saturday night action will also be well received by Rye House fans, too, and that they will come out in force to re-create the real party atmosphere we enjoyed in the early part of last season, as well as to build for the future. More news regarding the Farewell to the Arena and Hello to the Hammers in the House will follow in the build up to the weekend of 14th & 15th. Fixtures are already agreed for meetings against the Peterborough Panthers on Sunday 23rd and Saturday 29th and a reserved Play Off date of the first Saturday in October.